Nalini Singh, author of numerous books including the Psy-Changelings and Guild Hunter series will be appearing at Book Warehouse, 4118 Main Street, Vancouver for a meet and greet and to sign copies of her book Shards of Hope. Nalini Singh will sign and discuss Heart of Obsidian (Berkley; $25.95). Nalini Singh is passionate about writing. Though she's traveled as far afield as the deserts of China, the Highlands of Scotland, and the temples of Japan, it is the journey of the imagination that fascinates her most. She's beyond delighted to be able to follow her dream as a writer. Beginning life on an island such as Fiji seems like the perfect catalyst for a creative mind and soul. Add to that growing up in New Zealand, and a hefty amount of time spent in Japan, and you’ve got a multitude of exotic locations to build on. It looks like it’s working for Nalini Singh. With two wildly popular series spanning more than two dozen novels, Nalini has certainly put her creative mind to work. Heart of Obsidian is the twelfth book in the Psy/Changeling paranormal romance series. 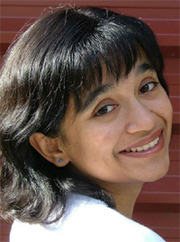 Nalini Singh is currently considered a "single author." If one or more works are by a distinct, homonymous authors, go ahead and split the author. Nalini Singh is composed of 2 names. You can examine and separate out names.